Like many parents with kids in car seats, I come across this problem from time to time. It’s very annoying, but most importantly, it’s a very dangerous thing to not fix because for the harness to work properly in the event of a crash, it needs to be flat without twists and snug against the child’s body. A twisted harness can cause real damage to the small body in the event of a crash, a damage that is easily avoided by simply making sure the harness is never twisted. Don’t fret – help is here! That’s a relief, right? hehe. So now, let’s get started and take you from a twisted dangerous harness – to a flat beautiful one! A correctly fitted flat harness spreads the load of an accident evenly across the point of contact with your child, reducing the forces being applied to their shoulders and chest. A twisted shoulder strap concentrates those forces over a smaller area, which increases the stress applied to your child’s shoulders and chest, potentially causing severe injury. Your inbuilt harness is key to saving your child’s life in an accident! It should be at the top of your priority list each and every time you use your car seat! Photo credit to my lovely friend Kat over at Good Egg Safety. I hope this solves your problems! 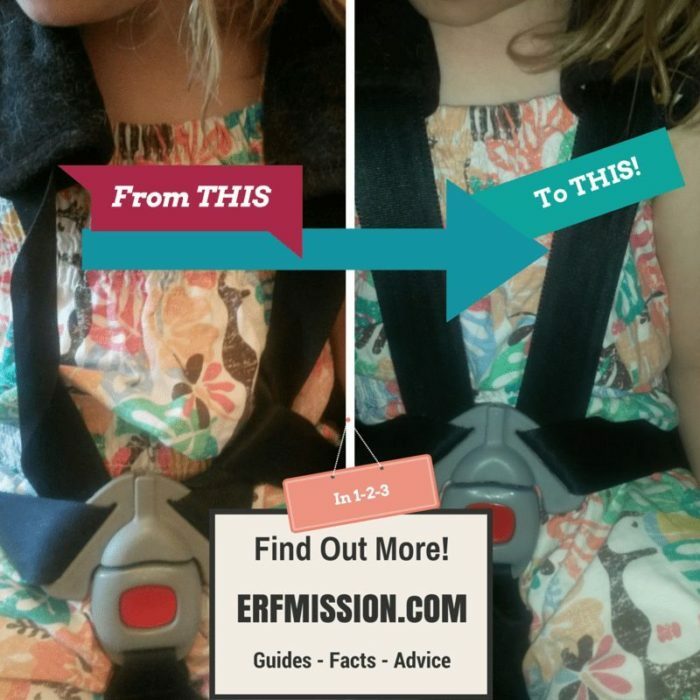 ← Is Your Child Escaping the Car Seat Harness?